The men and women who help keep our community safe were promised raises two years ago but they say those promises have been broken. NASHVILLE, Tenn. (WTVF) — The men and women who help keep our community safe were promised raises two years ago but they say those promises have been broken. On Tuesday, the Nashville Fire Union, Fraternal Order of Police and Service Employees International Union presented a past due invoice to city council. Union representatives said the purpose was to remind council members of a 3-year pay raise approval in 2017. "We feel that the city has made this promise to the employees and to honor this promise. 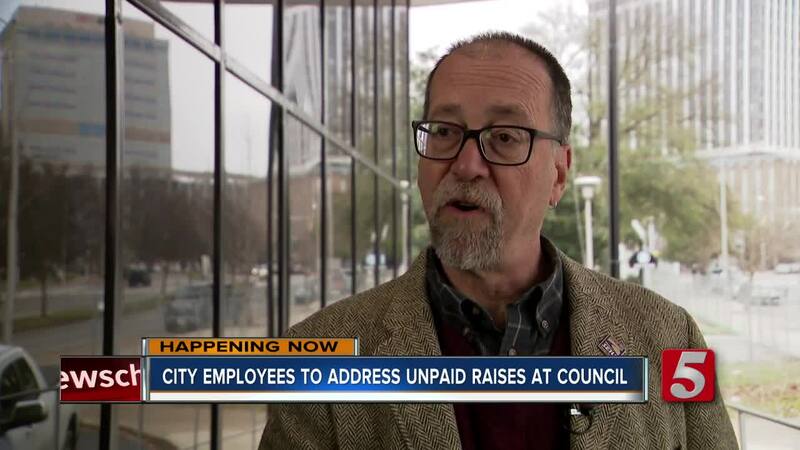 This is a way to make it right, pay attention to the invoice, pay the past due portion and pay what's coming due and that's what we're asking the council members to look at," Fire union president Mark Young said. Young said the hardest thing for city employees was to keep up with the cost of living. "The city is growing rapidly. Housing has increased dramatically in this city. The salaries, to have your own employees to live in the city where they work, their salaries ought to reflect what the cost to live here would be," Young said. City employees got a pay increase in 2017 but not the estimated $18 million promised for 2018 and employees don't think it's likely the estimated $20 million amount will happen by July 2019.